You will hear this from many photographers – “invest in your lenses”. Camera bodies will come and go, but a good lens can last a very long time. This was the advice that I first received when I started taking my photography seriously. Initially, I thought it was a bit hyped. I bought a cheap 70-300mm lens and used it at the first wedding I shot. I thought the images were fantastic until I bought a better lens a year later. I then realized how much difference a good lens can make. This review is not going to be a technical review of the Nikon 24-70mm f/2.8 lens. You want to know how this lens performs, what the strong points are and what the weak points are – I will cover that. You will see images taken with the lens, many will be edited in Photoshop, some will be straight out of the camera, I will point out to you which are which. This lens is a perfect “all rounder” lens. You may find that you keep the lens on your camera most of the time. It has a really good focal range for everyday photography. It is a good travel lens too. Many photographers have said that this lens was the only lens they went on vacation with and it worked really well. This is not considered a super wide angle lens, but at 24mm on a full frame sensor, you will get a viewing angle of of 84 degrees which gives a pretty wide angle of view. This lens can be used for landscape photography for a few reasons. Firstly, it has really good glass elements that handle light beautifully. There is some distortion at 24mm, but this is easily corrected in Photoshop. Secondly the lens is really sharp, it makes an image seem almost too sharp. You may find that you won’t need to sharpen your image as much if you use a tripod and are properly focused. The colour rendition on this lens is really good too, colours are true and vibrant. This lens is good for landscapes, not necessarily as a dedicated landscape photography lens (you may want to look at some wide angle lenses) but it can certainly perform well for this type of photography. This lens can work well for people photography as well which can encompass portraiture, weddings, and even street photography. This lens will do a really good job in any of these genres. In people photography, you will want to have a lens with minimal distortion. If you are using the 24-70mm for people photography, you will want to be shooting at 50mm and upwards. With a wide open aperture at f/2.8 you will be able to isolate your subject easily and have a soft out of focus background. The bokeh on this lens is good, but more on this later. 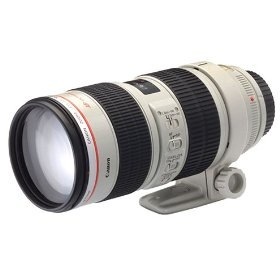 While the 24-70mm is not a macro lens, it has a 37 cm (14.5″) minimum focusing distance. That sounds like a long way, but at 70mm you can get pretty close to your subject. If you are shooting on a high resolution sensor (16 megapixels and above) you will be able to crop in quite a bit and so you will be able to get some good close up images. Bear in mind, this is not a macro lens, but if you want to get in close to a subject, really nice and close, this lens can do that. The sharpness and clarity is amazing, and it is good to have this ability on this lens. Most street photographers will traditionally use a prime lens for their work. You will often find a 50mm f/1.8 or and 85mm f/2.8 on their cameras. Sometimes though, it is good to have a little more flexibility and the 24-70mm is perfect for this. You can shoot at 35mm, 50mm, or 70mm and you will get great results. Based on your creative desire, you can shoot at f/2.8 or up to f/8 depending on your scene. The beauty of the lens is that it can focus really quickly and easily. It has a SWM (Silent Wave Motor) which means the autofocus is quick and quiet, really useful in street photography. There is some vignetting when the lens is wide open at f/2.8, but this adds some depth and contrast to street photography images. This lens gives you flexibility when shooting street photography. When you are planning to travel, there is always the consideration of what lenses to pack. Weight is always a challenge and of course, space. Many photographers have found that the 24-70mm is a prefect travel lens. At the low end, you can capture some great images of wide open spaces and the interiors of churches and cathedrals easily. Zoom in and you can get pretty close to your subject, step in closer and you can do some wonderful cameo and detail shots. The 24-70mm is almost designed for travel photography. Yes, it lacks a little in the zoom category, 70mm is not a huge zoom, but you will come home with bright, sharp, colour-filled images. The Nikon 24-70mm has amazing optics. It is sharp throughout the zoom range and has a fixed aperture of f/2.8 which means you can get a very shallow depth of field throughout the entire range. This lens focuses quickly and accurately. I use it on a Nikon D800 and it works really well on that camera. You can of course manually focus, but I would only suggest doing that when you are shooting landscapes or close-up photography. If you have a subject that is moving, autofocus is necessary. The lens produces good colour, which is vibrant and rich. If the lens is zoomed out to 24mm you will see some barrel distortion. Once you zoom in though, the distortion goes away, so be aware of the distortion when shooting at 24mm. It is easily fixed in Photoshop or Lightrooom, so don’t be too overly concerned about that. The lens is quite large and heavy, mostly because the lens has all glass elements and the body of the lens is metal. It is a hardy lens and can take some rough handling, but be careful with it as it is an expensive lens and you wouldn’t want to repair it unnecessarily. When mounted on a Nikon D800 without a battery back, the combined weight of the lens and camera body will be at least 2 kilograms (4.4 pounds). Thats a fair amount of weight to carry around at the end of your hand, so be aware if you plan to buy this lens. Many lenses are judged not only on how sharp they are, but how smooth and creamy are the out of focus areas (bokeh) of the image. In this area, the 24-70mm does okay. The bokeh on this lens is not a wow, but it is smooth and soft. On a lens that offers so much, the bokeh is not perfect, but it is acceptable. This lens has been praised as one of the best lenses Nikon has ever made. It is a great addition to any photography bag. You will find that you may keep it on your camera most of the time. It really is a sharp lens and is a perfect “all-round” everyday lens. Its specifications make it a “pro-spec” lens which means it’s not cheap (just under $2000). Remember though, it is recommended to invest in your lenses. Generally they will outlast your camera bodies and you will have them for many years if you look after them. This is one of those types of lenses, it will last well and produce great images for many years. Check out the Nikon 24-70mm f/2.8 lens on Amazon.